Welcome to the African Literary Podcast Episode 6. 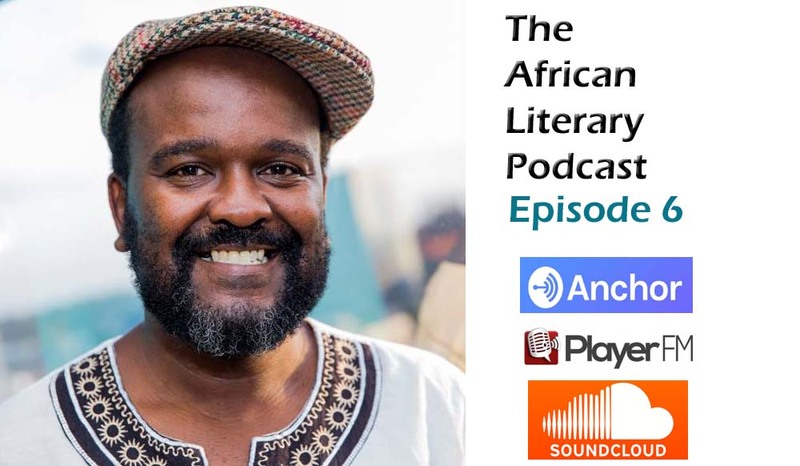 In this episode, tell give you news from the African literary scene on awards to the books that are recently out or on their way both fiction and nonfiction. You will also find an interview of Pede Hollist featured on the second section of the Podcast. When her sister, Fikile, dies fighting breast cancer, Anele has to ensure that the ceremonies and rituals preceding the burial are performed. Fikile’s husband, Thiza, is nowhere to be found. I loved it. We talk about the winners and shortlists of a series of literary prizes that Africans are eligible in. They include the Caine Prize for African Writing, Short Story Day Africa, Brunel African Poetry Prize, Dylan Thomas Prize, Africana Book Award, South Africa’s The Sunday Times Literary Awards 2018 shortlists that encompass the Barry Ronge Prize (fiction) and the Alan Paton Award (Nonfiction) as well as the Commonwealth Short Story Prize. Ghana: Ayesha Harruna Attah is the author of the new novel The Hundred Wells of Salaga published by Cassava Republic Press. Rwanda: My Name is Life a debut novel by Rwandan writer Karen Bugingo published by Imagine We. Kenya: Joe Khamisi Kenya: Looters and Grabbers, 54 Years of Corruption and Plunder by the Elite, 1963-2017. Published by Jodey Publishers. Nigeria: Writer and lawyer Dele Ogun will be launching A Fatherless People: The Secret Story of How the Nigerians Missed the Road to the Promised Land in Lagos, Nigeria on June 12th, 2018. South Africa: Panashe Chigumadzi’s These Bones Will Rise Again from United Kingdom based publisher Indigo Press has been revealed. South Africa: Born for Greatness: Biography of Frank Leepa is written by his younger sister Mpho A. Leepa. Nnedi Okorafor Binti trilogy Binti, Binti: Home, Binti: The Night Masquerade, come out as hardcover editions with original art by Greg Ruth and a foreword to Binti by the Broken Earth trilogy author N.K. Jemisin. Zukiswa Wanner has unveiled new covers for her novels The Madams, Behind Every Successful Man, Men of The South and London Cape Town Joburg. The new books which are the first from the new publishing firm Paivapo Publishing were designed by Zimbabwe based designer Mushamisi Kahari. Pede Hollist speaks about his book So The Path Does Not Die with a focus on how he breathed life into a female character as a man, researching on the American Dream, his membership of the African Literature Association and how the organisation helps African letters. He gives his impression of the Sierra Leone Literary Scene including the Sierra Leone Writers Series and the Sierra Leone writers do we need to be reading? He also talks about his work as a Fulbright scholar in Sierra Leone and his opinion on the Caine Prize that was announced last week. Previous Previous post: Short Story Day Africa 2017 shortlist announced. Next Next post: Koleka Putuma, Efe Paul Azino, Titilope Sonuga bank on their poetry.